Curtain Cleaning Mcgraths Hill provide professional onsite curtain steam cleaning and offsite curtain laundry, curtain dry cleaning services. Our curtain cleaning team can clean all kinds of curtains irrespective of its fabric and types, using the right cleaning method. Besides steam and dry cleaning, we also offer curtain stain removal, curtain mould removal, curtain odour removal and so much more. Call us at 1800 301 951 and get the free quote for our exclusive and specialised services. If you are wondering about what is the need of hiring the professional for curtain cleaning Mcgraths Hill, then certainly you are unaware of the benefits of professionals bring to you. The professionals receive proper training and experience in the niche and possess all the cleaning tools and solutions required in the cleaning process. However, the cleaning methods you apply at home do not guarantee you the cleaning desired results, and all your efforts, time and energy go in vain. Hence, it is important you hire the professionals for curtain cleaning Mcgraths Hill. 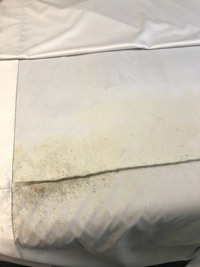 Besides, you may not be aware of the curtain fabric and the right cleaning method, but this is not the case with the professionals. They are well aware of the fabric type once they inspect it and apply the right cleaning method. Plus, there are many other benefits for hiring the experts. Ecofriendly Cleaning Services owns a team which is well-versed and well-trained in curtain cleaning services. Curtain steam cleaning that we offer completely sanitise, disinfect and clean them, also removing the risk of health issues in the home. And the tools, cleaning solutions and techniques we use for curtain steam cleaning, deliver the results. 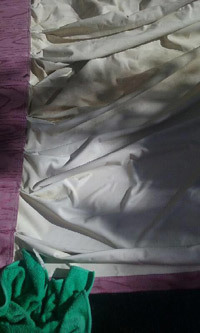 Irrespective the type of your curtain, we can clean them. Our curtain cleaning process is followed by a thorough inspection of your curtains and then apply the right cleaning procedure. 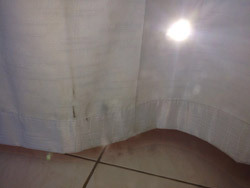 Plus, we offer both onsite and offsite curtain steam cleaning in Mcgraths Hill at the most affordable prices. Our cleaning team offers a wide range of cleaning services and is known for doing the job to perfection. Following are certain reasons you would want to hire us for your curtain cleaning Mcgraths Hill needs. Just dial at 1800 301 951 to get a free quotation or book our curtain cleaning services. Except curtain cleaning, you can also call us for carpet cleaning service, drain cleaning service, tile & grout cleaning service, and upholstery cleaning. 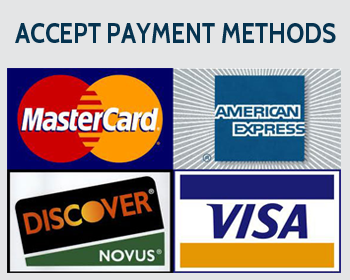 We offer this services at cheapest price in Mcgraths Hill. Call us now!